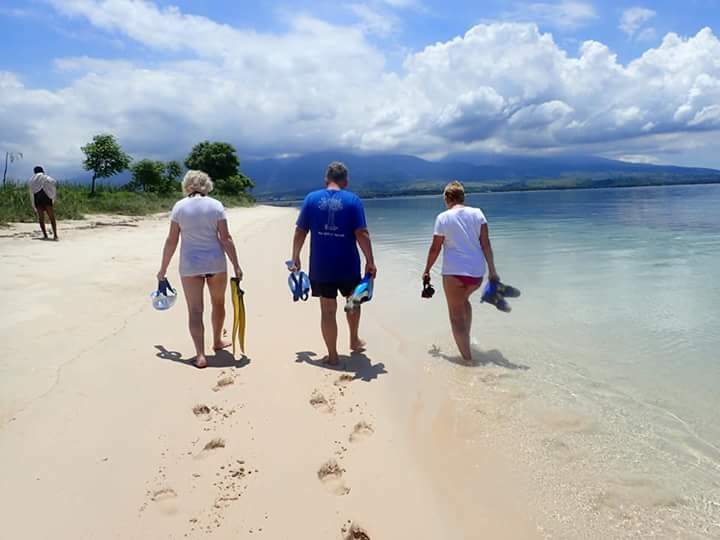 While you can snorkel directly from the beach, a good deal is to join the daily snorkeling tour at the very reasonable rate of Rp 35.000 per person. As the boat has a glass bottom, those unable to snorkel, such as young kids, can also have the opportunity to see a wide array of beautiful multicolored tropical fish and, if lucky, even the odd turtle. A tip here: bring your own snorkeling gear as the quality of the stuff available for hire leaves much to be desired.